The Artillery Brigade 368 under the Army Corps 1, whose forerunner was the Motorized Artillery Brigade 675B, was founded on March 29th, 1968. During 50 years of building, fighting and maturing, generations of the Brigade’s staff have strived to overcome all hardships to successfully fulfil all the assigned tasks. In the resistance war against the U.S., for national salvation, although it was a fledgling unit, the Brigade engaged in and won hundreds of battles, thereby building up its tradition of “being skillful at manoeuvre, good at fighting and building”. Renown of the Brigade attaches to feats of arms in the fronts of Tri-Thien and South Laos as well as victories in Ban Dong, Height 732, Unnamed Hill, Tra Ky, Ai Tu, and La Vang bridges, Ong Do cave, etc., greatly contributing to the victory of the resistance war against the U.S., for national salvation. With those achievements, it was given the title of Hero of the People’s Armed Forces and other noble awards. 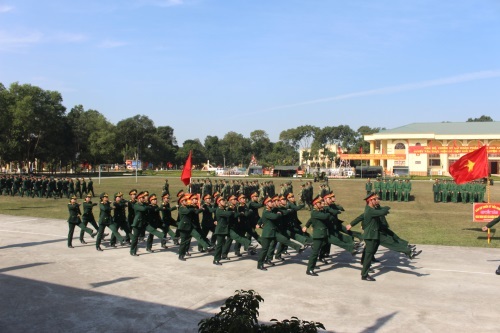 In recent years, satisfying the requirements of Homeland protection, the Brigade’s Party Committee and commanders have focused on improving its synergy and combat strength. Great importance has been attached to enhancing its manoeuvrability and combat capability via synchronous measures to deserve to be an operational level artillery unit in the formation of a strategic mobile corps. To that end, first, the Brigade has stepped up the work of political and ideological education and improved the effectiveness of the party and political work, while enhancing all-level party committees and commanders’ leadership and direction over the tasks of manoeuvre and combat. Accordingly, it has directed units to disseminate and introduce the Party’s guidelines on the military, defence and Homeland protection tasks as well as the tasks of the Corps and the Brigade in the new situation to its troops, while providing troops with more information to render them fully aware of the situation, adversaries, the enemy’s plots, artifices, weak and strong points in modern warfare as well as the importance of the tasks of manoeuvre and combat to the unit’s successful fulfilment of political task. To do this, the Brigade’s units have taken breakthrough measures for the improved quality of political education, such as actively renovating form and method for propagation and education; closely combining basic education with regular education, and introduction of tasks with education of tradition, particularly the Brigade’s tradition of “being skillful at manoeuvre, good at fighting”, thereby building up its troops’ confidence, strong will and determination to fight for victory with the existing materiel. 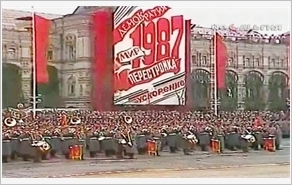 Moreover, it has well conducted the work of ideological management and internal political protection, while accelerating the implementation of Grass-Roots Level Democratic Regulations, maintaining the order of dialogues between commanders and soldiers, opportunely, completely handling arising issues, and building a sense of unity between cadres and soldiers. Training represents the central political task and an important measure to directly enhance combat capability. Thus, significance has been attached to improving the quality of training, with a focus on making breakthrough in training to enhance artillery detachments’ manoeuvrability and combat strength. Grasping the directions by the Corps’ Party Committee and High Command and the guidance by the Artillery Corps, the Brigade has actively renovated content, form and method of training to make it relevant to the existing materiel and the development of artillery art of operations in the war to defend the Homeland. Following the motto of “basics, practicality, thorough grasp”, the Brigade has concentrated on comprehensive but specialized and focalized training in accordance with reality of combat. In this regard, tactical training has been seen as the centre, specialized skill training as the basis, and cadre training as the key. To promote the manoeuvrability of artillery force, materiel, and fire in modern warfare, the Brigade has set up the standards of “an artillery unit good at training” for each force (commanders, gunners, signal, scouts, etc.). Accordingly, the Brigade has imposed the requirements for its artillery detachments: tactically, they must be “skilful at fighting”; technically, they must “hit” and destroy the targets right at the first artillery salvo. Simultaneously, it has directed its units to increase field and night training, focusing on training their troops to master artillery materiel of all types and movements of each person and battery as the basis for company and battalion level joint training. In recent times, the Brigade has stepped up training to use the existing materiel in combination with traditional specialized training in order to improve troops’ skills in using materiel and shorten the duration of shooting preparation, thereby ensuring quick, accurate operations, particularly when the enemy conducts electronic repression. It should be noted that the Brigade has directed its units to develop plans for physical training, field operation, manoeuvres, movement of artillery in terrain of all kinds, training to deploy and withdraw artillery in night time and complicated weather, river-crossing training, manoeuvre training in combination with training to camouflage, prevent and fight against the enemy’s reconnaissance and electronic warfare, etc. In addition, the Brigade has actively held exercises at all levels, with a focus on live-firing exercises and company and battalion level exercises, while taking part in combined services and arms live-firing exercises. In these exercises, importance has been attached to force manoeuvre in accordance with reality of combat. Furthermore, the Brigade has paid due attention to practising movement of artillery batteries in combat situations and renovating content and method of training. In this regard, it has segmented training for batteries to master steps for manoeuvre, held joint training for manoeuvre from battery level to battalion level, and passed on and developed lessons on manoeuvre learnt from the Artillery Force in the resistance wars, particularly on commanding and coordinating manoeuvre. Besides, the Brigade has attached great importance to perfecting the structure of drivers and technicians and improving their professional competence. On a yearly basis, it designs plans for training 100% of its drivers; rotates the duty between training drivers and active drivers; and maintains the order of in-service training and professional level-raising examinations for its technical staff. Thanks to proper measures, the Brigade’s staff’s capability of command and operation as well as its manoeuvrability and capability in combat coordination have been considerably improved. Throughout the inspections of combat readiness, exercises, and settlement of the situations, its units met the mission requirements, being highly appreciated by higher echelons. To avoid passivity and contingencies, the Brigade has adopted measures for enhancing its capability in combat readiness. Over the past years, it has strictly maintained the regulations on and the order and system of combat readiness at all levels synchronously in manpower, materiel, manoeuvre means and support of all aspects. At the same time, it has been proactive in building, reviewing, adjusting, and completing the system of combat plans, determination and projects in line with the Corps’ intentions of operation. Basing on its assigned tasks, it has closely cooperated with relevant units and localities in studying and preparing the battlefield, with a focus on identifying the position of evacuation and rendezvous zones, artillery deployment zones, manoeuvre routes, jetties to cross the river, etc., to facilitate operation when the situations take place. As a technical, combat unit, the Brigade has successfully carried out the work of support for all tasks, including manoeuvre and combat. In this regard, it has stringently maintained the regulations on technical work; regularly inspected technical state of vehicles, especially those for combat readiness; improved the quality of repairing and maintaining materiel, and accelerated the implementation of the Campaign “managing, exploiting weapons and equipment effectively, sustainably, safely, economically, and traffic safety”. Repair staff has been consolidated by the Brigade. Moreover, over the past years, the Brigade’s staff has made technical initiatives and innovations, greatly contributing to the unit’s manoeuvrability and combat capability. Regarding logistics work, the Brigade has stepped up agricultural production and achieved positive results. Troops’ living conditions have been considerably improved; the rate of healthy troops has always reached above 98.5%. Being proud of its tradition and obtained results, the Artillery Brigade 368 will continue to strive to further enhance its synergy and combat strength, making the Brigade comprehensively strong, deserving to be the key ground-based fire unit of the “Determined to Win” Corps (Army Corps 1).